With over 80% of businesses currently leveraging social media to attract leads, make sales and deliver customer support, it’s arguably the biggest and most convenient platform, particularly for ecommerce. Through a survey targeting B2C marketing, 58% of respondent marketers indicated that social media was generating double the number of leads compared to PPC, direct mail, telemarketing and trade shows. With such promising statistics, it’s expected that managed service providers will continue joining the social media bandwagon especially because their businesses are largely web based, and consequently depend heavily on web-generated leads. So, how can you proceed in leveraging social media for your business? Contrary to popular belief, social media is an intricate business tool- it requires special, effectual strategies to generate good results. Unfortunately, plenty of businesses, including managed service providers, do not take it seriously- Only 26% have fully integrated social media into their business strategies. The rest only use it on occasional basis to post ads which are subsequently ignored by 68% of consumers. Today’s social media audience is pretty much different compared to the past- an average user has befriended hundreds of individuals on Facebook and followed many more accounts on Twitter. Their timelines are consequently filled with a lot of content, which subsequently forces them to scroll swiftly, paying attention only to the headlines. In fact, most of them tend to ignore commercial tweets/updates and instead focus on their friends. This of course, makes engagement a lot more difficult, but not impossible. To grab their attention, you need to shift from scripted to visual content. Social media users pay significant attention to visual content and tend to discuss and share it more compared to regular content. That’s why Youtube is ranked as the number one social media platform in terms of driving the biggest highly engaged web traffic. It’s closely followed by Google, LinkedIn and Twitter. Since the 3 most sought-after content types by managed service users are analyst recommendations and reviews (43%); solutions and product technical details (44%); industry studies and surveys (52%), your visual content should be heavily based on them. 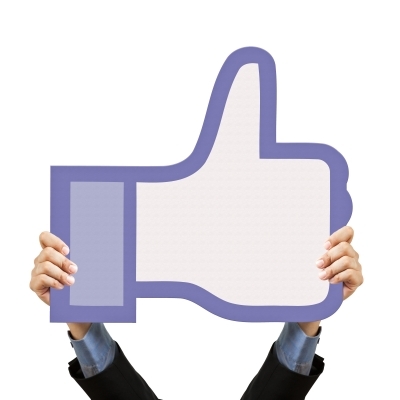 Many businesses, including managed service providers view social media as one single platform. They consequently develop single dimensional strategies as opposed to focusing on each social media platform separately. It’s common for instance, to see one post being distributed across different social media platforms. Or worse still, the same style of engagement being employed on Facebook, Twitter, Instagram, Youtube, Google+, and more. If you fall under this category of businesses, you need a comprehensive social media channel plan since each platform is very different compared to the rest- Twitter for instance, has 255 million monthly active users with grandparents as the fastest growing demographic. Facebook on the other hand, has 802 million daily active users with Fridays experiencing the most activity. Many managed service vendors write blog posts and subsequently develop social media posts based on them to drive traffic to their sites. This may be fairly effective, but you’d generate better results by trying the opposite- developing blog posts based on your social media posts. Social media could be considered as a lab for you to test out thought-provoking ideas that trigger interest and spark conversions. Monitor the reaction after every post and sample the most favorite ones to write blog posts on. Of course this would drive more traffic to your site compared to writing posts whose subsequent interest is uncertain. All your blog posts should be brief, comprehensive and straight to the point. This is the same tactic employed by Seth Godin, one of the most successful authors and bloggers, to win traffic and engage his followers. Since it requires minimal technical skills and can be executed from anywhere, many managed service providers outsource their social media strategies to external teams, mostly positioned away from their regular customer and product teams. The end result is poor intra-organizational communication and support, which consequently hinders effective execution of the social media strategy. Your social media experts, customer and product teams should be conveniently linked to facilitate team-working for improved service delivery. The experts will stay updated on the latest developments and subsequently device effectual approaches to generate interest from enthusiasts, fans and customers. Additionally, they’ll be better responsive on technical issues raised by customers on various managed services. Unless you’ve zeroed in on a single country, your managed services are available in almost all countries with internet connectivity, making the entire world your target customers. You should therefore forget about your time zone if you intend to comprehensively take advantage of such an expansive market. When you go to bed, your social media team should be active to engage users on different time zones, and ensure that no customer feels disconnected to your company. All your primary accounts should be active round the clock to even participate in random managed service conversations with prospective warm leads.